// It’s been said that a rose by any other name smells as sweet. Perhaps that’s true. But to us, every gathering is unique, and each and every one deserves its own exceptional floral accents. From ceiling-sweeping centerpieces to thoughtful room arrangements, our incredible Floral Department brings expertise and soul to every petal and bloom to ensure your event’s sweet-smelling success. 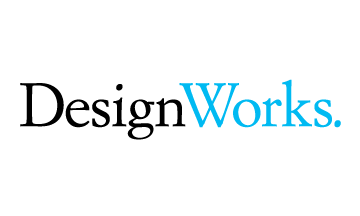 // This is your event – your brand. 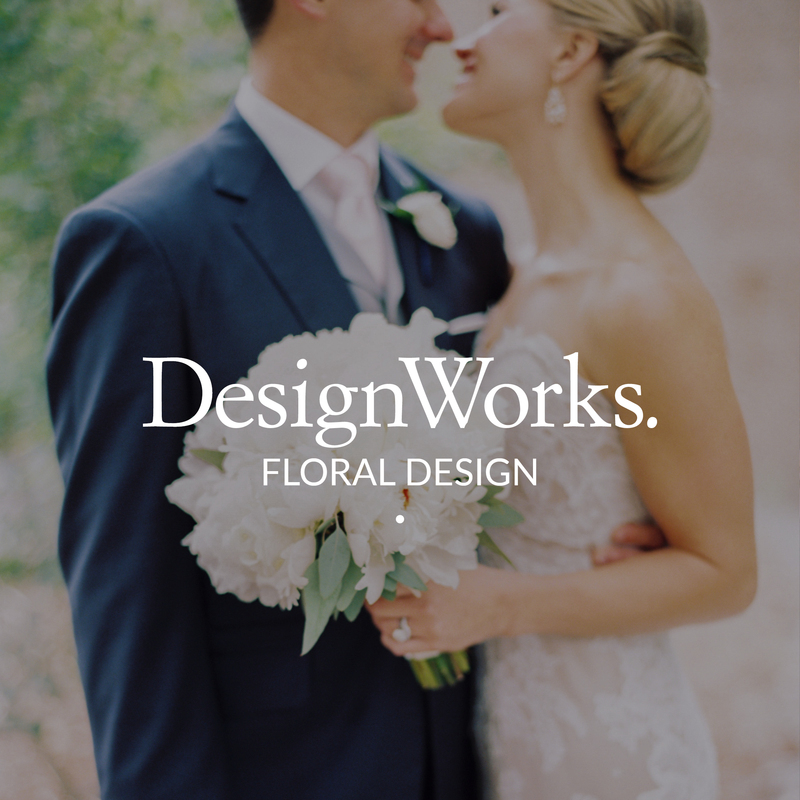 Let us design personalized elements to enhance your signature theme. Our large format printers allow us to print on a variety of materials, from paper to canvas. 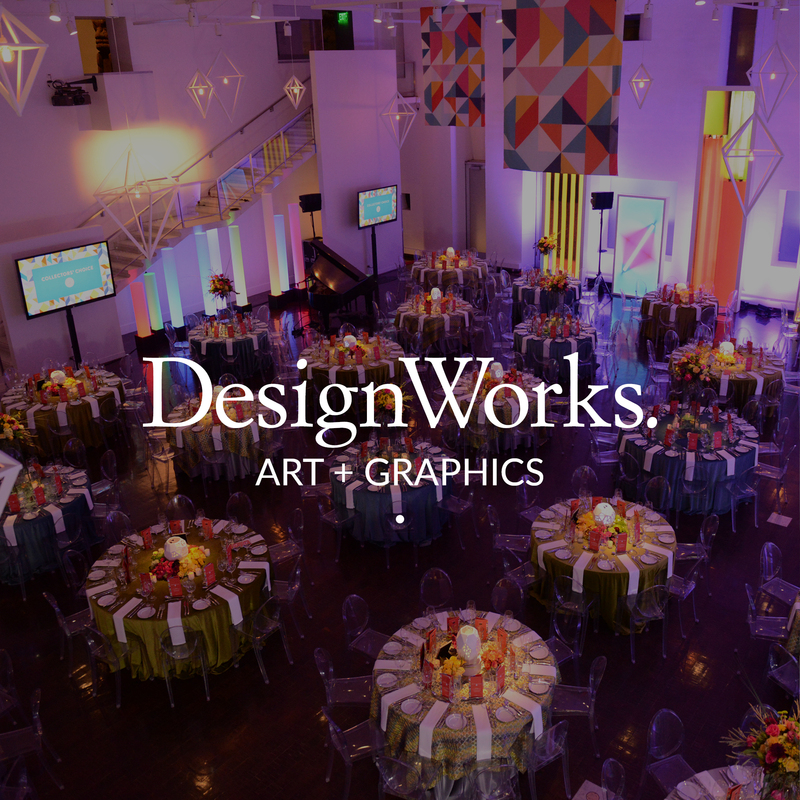 From small table accents to towering banners, we’ll produce the materials and designs to visually stimulate and enforce the unique qualities of your special occasion. // Have a seat. 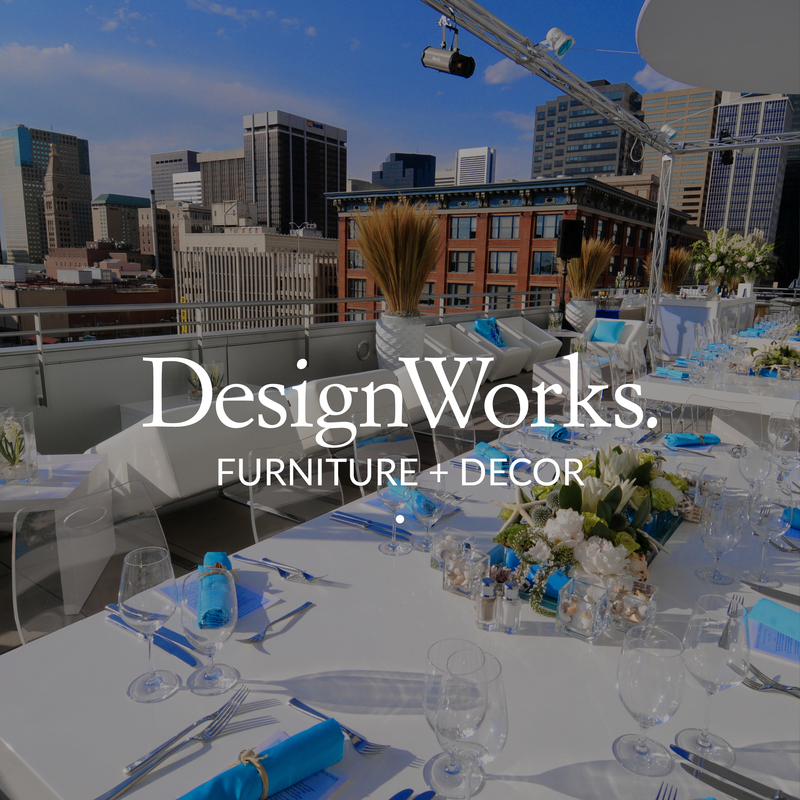 DesignWorks offers a full range of furniture and lounge pieces for events of any size and theme. Whether you want a classic upscale western look, a sleek black and white club, or a hip VIP cabana, invite your guests to relax and mingle in style as we transform your party space with our amazingly wide range of lounge furniture rentals. 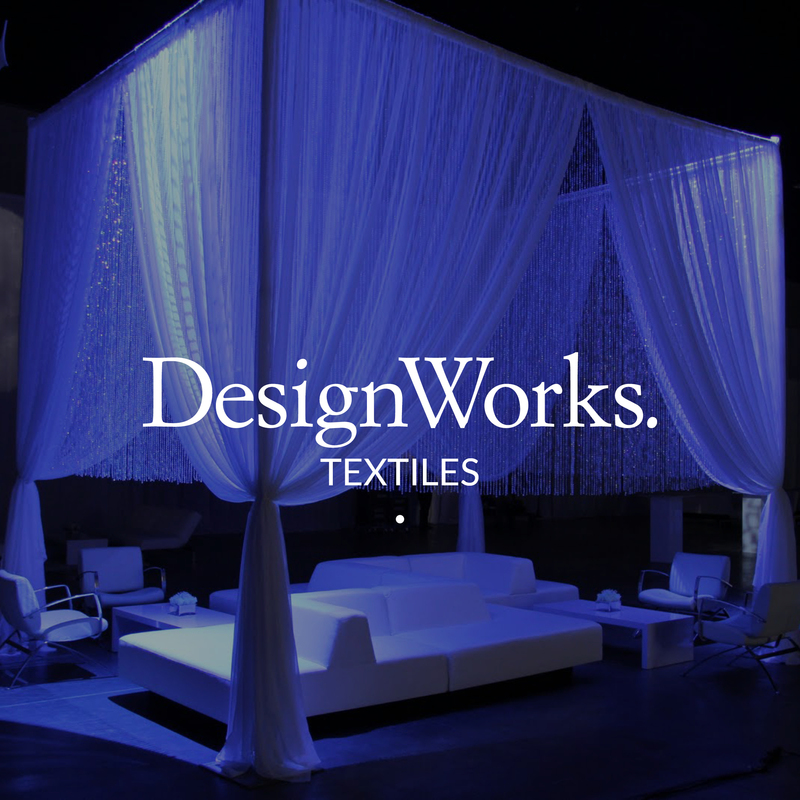 // From romantically adorned entryways and tailored ceiling treatments to tabletops trimmed in rich linens and luxurious draped rooms, our textiles team and event design services stitch together the softer side of design. // Here’s where we really shine. 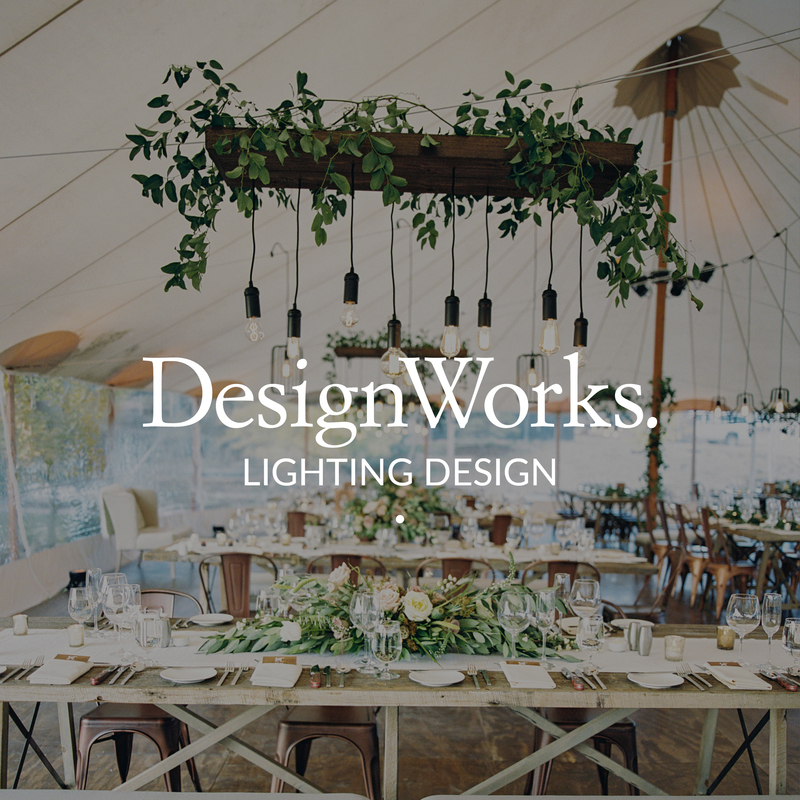 Our spectacular lighting design service is enough to make anyone green with envy. Your guests will be anything but blue when they enter your event room that’s colorful and playful. Let us create an intimate ambiance, while adding vibrancy to your event. From glowing tables to hue-soaked walls, we’ll be there to add a sensational spectrum of emotion.